So, you are about to become an egg donor. There might be a lot going on in your mind- uncertainties, fears, and anxiety. Most importantly you might want to know something about the process. So, here is a list of ten questions that you need to ask right away. #1 Why did you decide to become a donor? The reason behind this is an important factor, are you doing it for someone you know? Do you need funds for any personal reason? And lots of other ones. 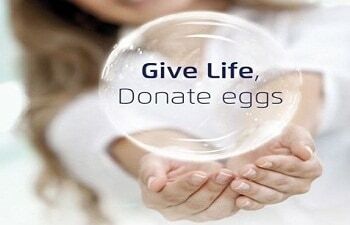 The process of egg donation is an arduous one and the reason behind it is something that can help you get through it. #2 How does it affect you? If you are planning on getting children in future then you ought to know the short-term and long-term effect of this process. Consult your doctor to get all your questions answered. #3 When is the right time? As mentioned already, the process takes time, energy and motivation. In case you are planning to move away, change jobs or do anything which requires dedication then you need to postpone the plan. #4 Do you accept the legality of the process? You won’t be having any legal rights over the children. Are you willing to accept this? #5 How will it affect the relationship in case of friends and families? It can go both ways, you can get connected to the person who is getting the eggs or it could turn out to be awkward. #6 How would your partner react? It would be wise to ask your partner how they feel about the process. #7 How are you being compensated? You need to read the contract whether you are being paid for any complications that might be caused by the process. #8 You should ask about the previous clients? Talking to the previous clients could help you get a better understanding of the egg donation process. #9 How long will the program last? It is important to know the duration of the program as you need to commit to it. #10 In the case of fewer eggs will you get less money? This might be one of the important questions. Are you getting paid on the basis of egg count or for the donation?